Family holidays with kids in Locarno. How to entertain your child, things to show to children. The main point of many excursion programs in Locarno is Piazza Grande. For many years, it has been the center of the cultural and business life of the city. All significant ceremonial events take place on this street. You can see beautiful historical buildings around it. Next to the square, there is a picturesque promenade, which is the focus of numerous restaurants, cafes and entertainment venues. The city has preserved many religious monuments of various periods. An interesting site for visiting is the New Church. It is a vivid example of Baroque style. In this church, the original interior with a lot of refined ornaments is completely preserved. No less interesting is the Church of St. Francis, in which the unique frescos of the famous painter Baldassare Carrari are preserved. In addition to its formation, this church is interesting for the religious artifacts stored within its walls. In a church named after Saint Anthony, visitors can see the incredibly spectacular and original altar on which the dying Jesus is depicted. Amazing works of art and Christian relics are hidden in each of the churches. Fans of walks in historical places will be interested to make an excursion to the Visconti Castle. This defensive structure was built in the 15th century. The castle got its name from the name of a large clan, which for many years stood at the head of Milan. The castle is perfectly preserved after more than 500 years of existence. Now, it has an interesting museum. Its visitors will have the opportunity to see interesting archaeological exhibits, some of which date back to the Bronze Age. Here is also stored a rich collection of glass products made in the historic workshops of Locarno. 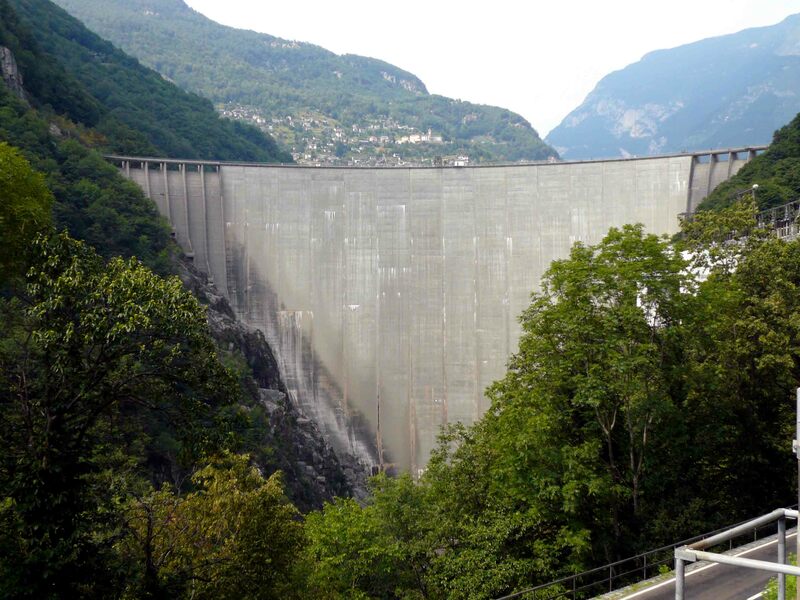 Nature lovers will be invited to visit the Valle Verzasca, which is located in the immediate vicinity of Locarno. This valley is very big and incredibly beautiful. Many tourist routes are laid along its territory. There are fascinating hiking trails, along which you can see the most hidden corners of the valley, and several interesting cycling routes. The main attraction of the valley is the ancient dam, which now serves as a natural viewing platform for tourists. 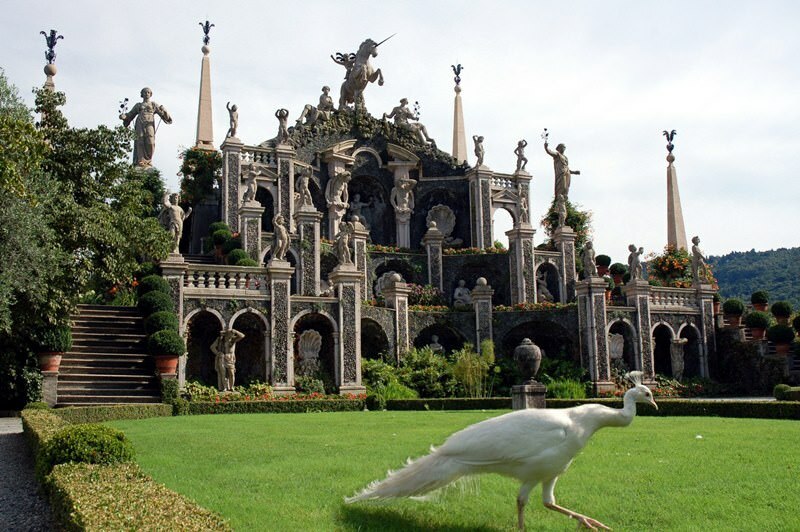 This guide to iconic landmarks and sights of Locarno is protected by the copyright law. You can re-publish this content with mandatory attribution: direct and active hyperlink to www.orangesmile.com. Check on the map: Distance from Locarno center - 36.7 km. Check on the map: Distance from Locarno center - 5.2 km. All about Locarno, Switzerland - sightseeings, attractions, touristic spots, architecture, history, culture and cuisine. 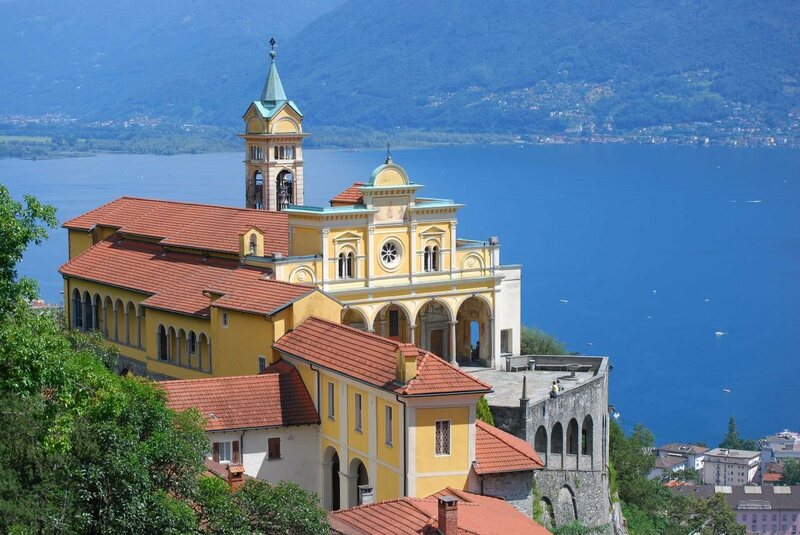 Prepare your trip together with OrangeSmile.com - find out the 'must see' things in Locarno, which places to visit, which excursions to take, where the breathtaking views are waiting for you. Planning your trip with this travel guide will help your to get the most out of Locarno in few days.